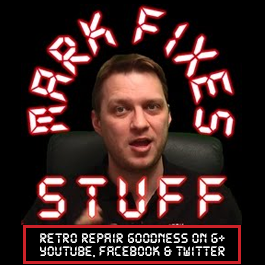 In the first of what will become a regular feature, Mark talks about how his new channel has been received, what his plans are for the future and some info on upcoming videos. http://www.sd2iec.co.uk for the SD2IEC – Thanks Nic! http://www.sellmyretro.co.uk for the DivIDE and pass-through Kempston joystick interface – Thanks Rich! http://www.RetroComputerShack.com – for the Spectrum +2 (Grey) RGB SCART lead – Thanks Ian! 1. Your shirt is awesome! 8. From what movie is that quote at the end (“anybody f**** with my command”)? 9. Did I mention the war yet…? 3. I can’t capture the monkey yet. He’s too high, but there will be a vid! 5. Not sent yet. Will select, weigh and then contact you. 6. Some people need a good healthy kick in the balls! 7. Thank you again. Didn’t realise it came out at 23 mins!